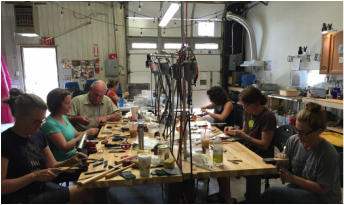 Boulder Community Arts is committed to making facilities available to the public for short-term outside use. The space is well-suited for workshops and meetings. If you or your group would like to use our facilities, download our application. For more information, or for a tour of the space, contact us using the form below.